Have you ever eaten a dessert and had it change your life? This dessert did that for me. Okay, so maybe “changing my life” is a little bit of a stretch. What I should have said is “made me fat” because that’s how it changed my life. You guys, I ate way too much of this Oatmeal Cookie Pie myself. Way. Too. Much. Because it’s that good. Like I said, life changing. In my defense, Jordan did help me eat some of it. 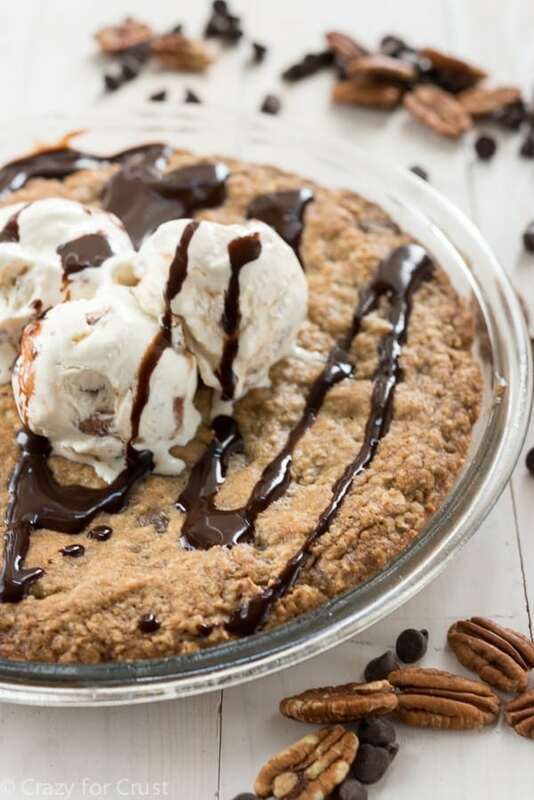 And what’s a girl to do when she bakes a warm, gooey oatmeal cookie in a pie plate, a cookie that’s filled with chocolate and pecans, and then she tops it with ice cream and takes photos? Just let it sit? Or attack it with a fork? Because really. Look at that cookie: would you have been able to walk away from it? Now, I gotta say, I love me some oatmeal cookies and this recipe is no different than this one, only it’s baked in a pie plate instead of mini muffin pans. But something about adding chocolate chips and pecans makes this absolutely magical. Also, eating it warm and gooey just from the oven? Pure heaven on a fork. That all said, what made took this cookie pie over the top was the ice cream. 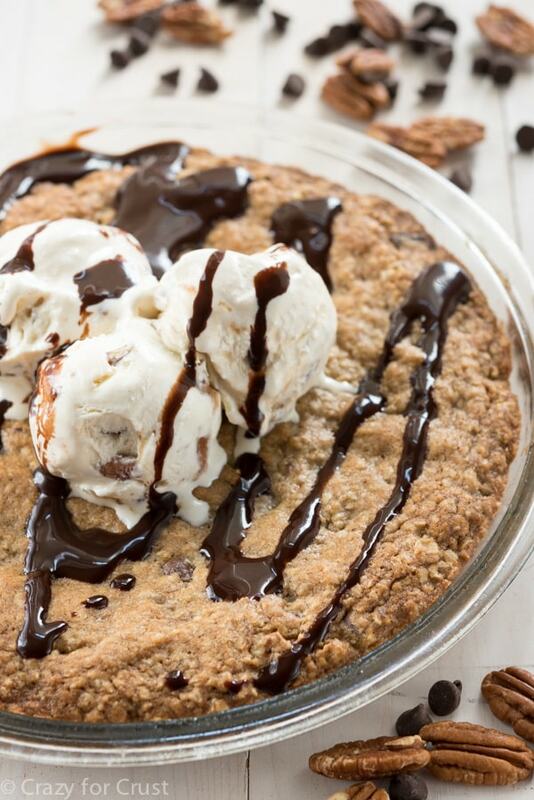 Because all cookie pies should be served warm and with delicious ice cream, don’t you think? A few weeks ago I had the chance to visit the Safeway test kitchens in Pleasanton, California. I love Safeway (y’all should know that by now) and it’s where I shop a majority of the time. The event was put on to showcase Safeway’s new Open Nature Super Premium Ice Cream. We got to go behind the scenes, make ice cream sundaes, learn about the Open Nature brand (it’s completely natural, nothing added or modified) and taste amazing ice cream. My favorite flavor hands down was the Salted Caramel Butter Pecan. 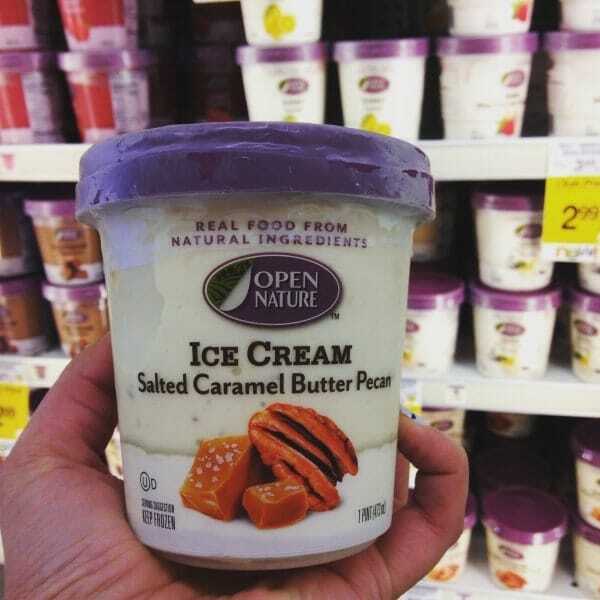 Butter pecan is my favorite ice cream flavor anyway and then they added salted caramel to the mix. The salty/sweet/creamy flavor combo is so good I could have eaten an entire pint. And then I ate half the pint because clearly they made a mistake when creating the “number of servings in package” on the label and it’s a one serve container. So I decided I needed to make something with the rest of the ice cream. So, you know, I could eat the rest of the pint and a cookie pie too. 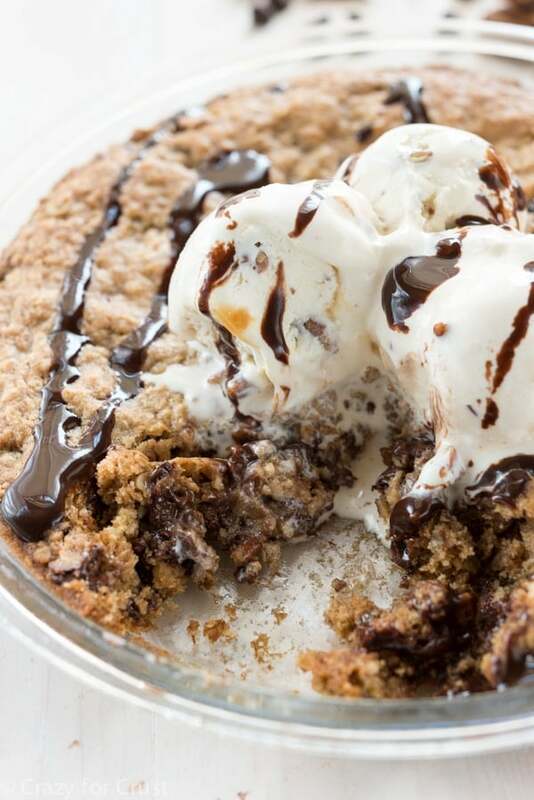 This Chocolate Pecan Oatmeal Cookie Pie is a show-stopper dessert. It’s one of those things that’s so easy to make but is so decadent everyone will oooh and aaaah over it. Really, anything you serve warm with ice cream pooling all over the top will get some ooohs and aaahs but this? Takes the pie. The cookie is a basic, easy recipe. Butter, brown sugar, and granulated sugar give it the base. It’s soft from the egg and the oatmeal and the added cinnamon, chocolate, and pecans give the cookie a great texture and flavor. This is best served warm, with ice cream, and eaten straight from the pan. You can bake it ahead of time and reheat it before serving. You can serve it as slices or not, up to you. If you prefer individual servings, try baking 1/4 cupfuls of dough in muffin pans. 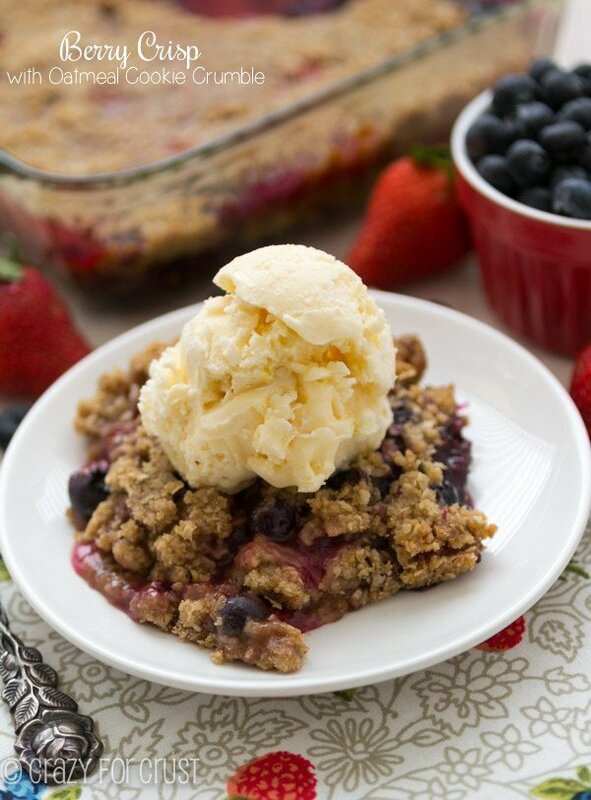 Top with a scoop of ice cream and you’ve got a perfect after dinner treat. I highly suggest using a salted caramel flavored ice cream. The two flavors, salted caramel and oatmeal, go together magically. Then you can try and stop at just a few bites. Yeah, good luck with that! An oatmeal cookie filled with chocolate and pecans and baked in a pie plate. Serve with salted caramel ice cream for an amazing flavor combo! Preheat oven to 350°F. Spray a 9” pie plate with cooking spray. Cream butter and sugars in the bowl of an electric mixer fitted with a paddle attachment. Beat in egg and vanilla. Mix in baking soda and salt. Slowly beat in flour. Mix in oats. Stir in chocolate chips and pecans. Press cookie dough into prepared pan. Bake for about 20-24 minutes, until the top is golden and a toothpick comes out clean. Cool at least 20 minutes before serving. 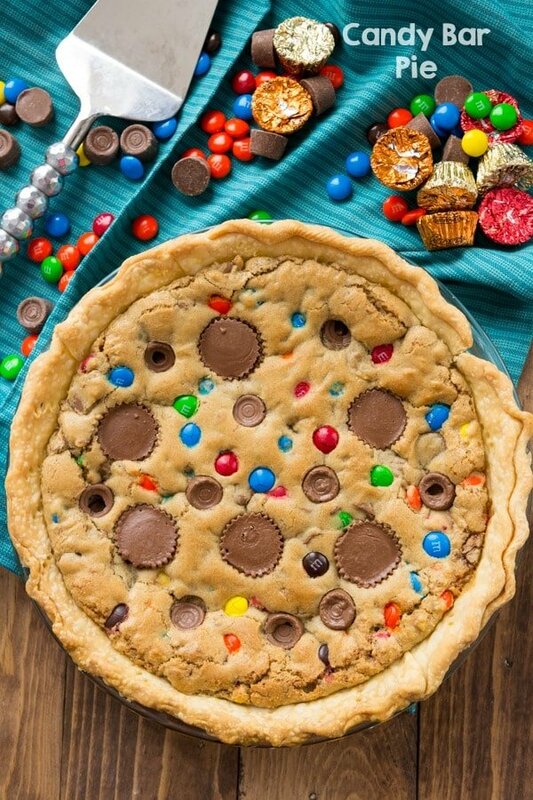 Slice and serve with ice cream and chocolate sauce or just heap it all on the full pie and eat with a fork. Ice cream suggestion: something salted caramel goes wonderfully with the flavors of the cookie! I’m honored that Safeway sent me on a trip to their test kitchens. This post was not sponsored, but I love Safeway and enjoyed seeing behind the scenes and wanted to share my experience with you. I MUST HAVE THAT ICE CREAM! 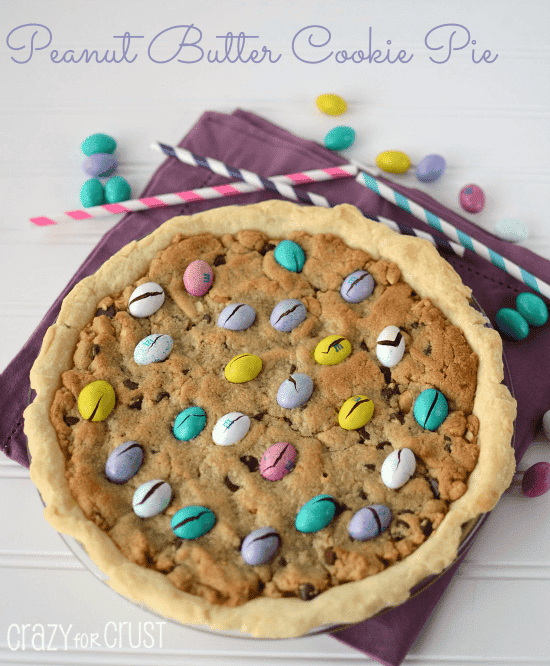 oh em gee it’s all my dreams come true, especially on top of this amazing cookie pie!! attack with a fork, all the way! In the oven now! FYI- You forgot cinnamon in the written directions. I would like to maPut this recipe in multiple 6″ cast iron skillets. How much dough should I put in each skillet? Thanks!